Ibelieve denim jacket has become such a familiar term that everyone knows it! 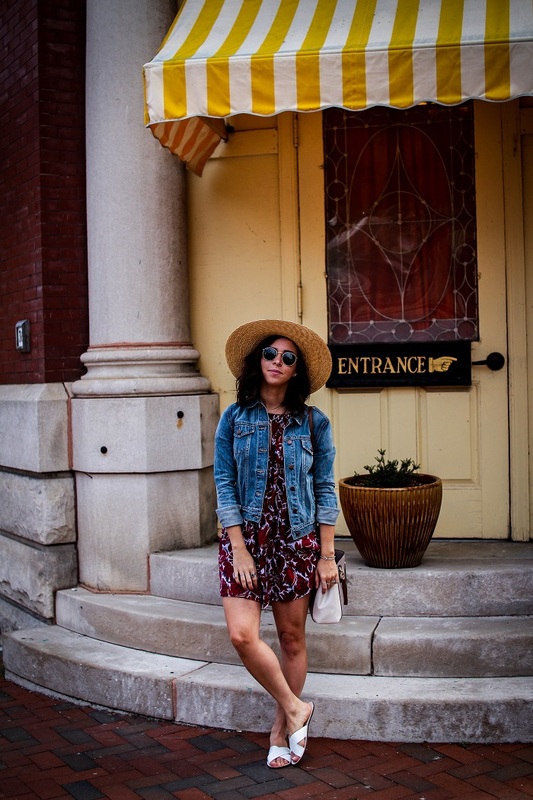 Denim jackets have been in style for years and it has no sign of going anywhere (which I’m so thankful for!)! 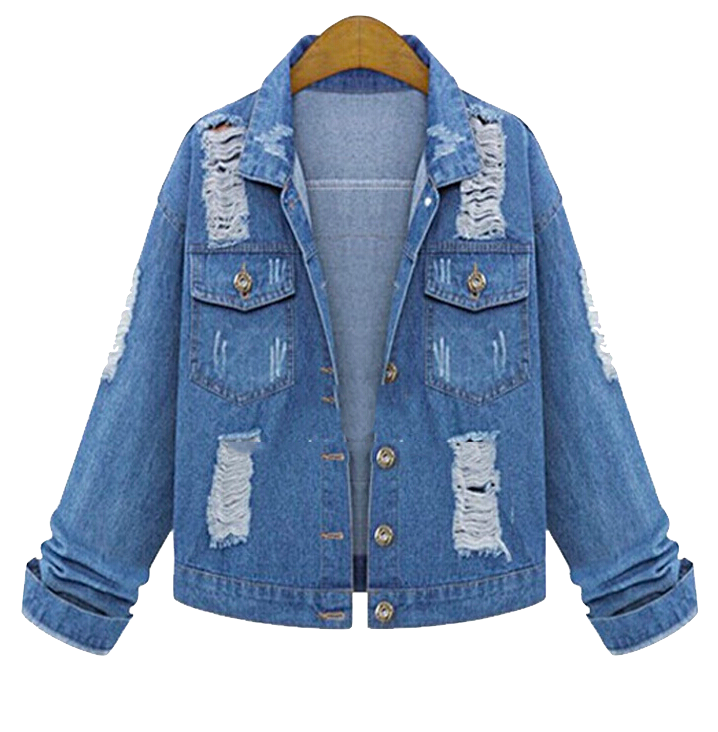 I am sure everyone has at least one piece of denim jacket, whether it is an oversized one which you’ve borrowed from your mom, or the perfect piece which you’ve been rocking 24/7 since you were in high school. If you don’t own any denim jacket, make sure you get it right away as every IT girl knows that adding a denim jacket is a surefire way to instantly make any outfit cooler! Apart from pairing your denim jacket with basic tee and jeans, this off-duty staple also works with a myriad of versatile pieces such as dresses. 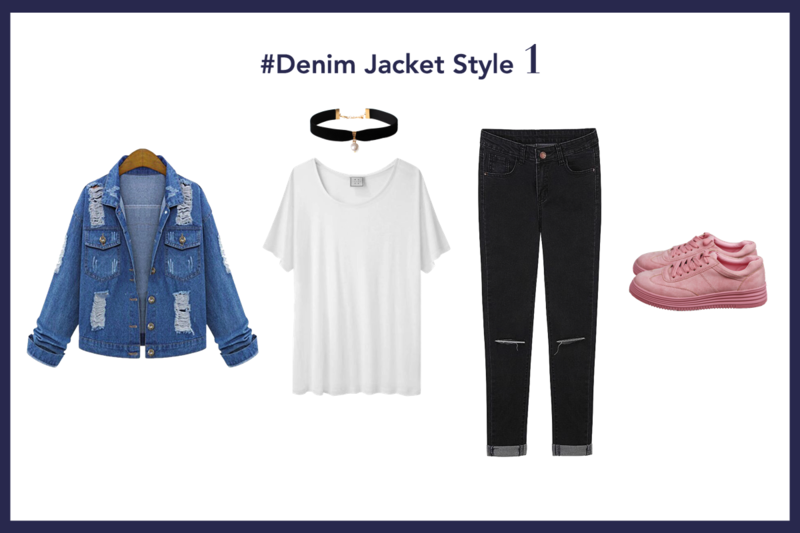 I’ve got 7 stylish denim jacket looks for you to try on! So, make sure you continue reading! Without further ado let’s begin with some inspirations from the A-list. She created that chic look by styling her ripped denim jacket with her stripped shirt, denim jeans and a pair of slip on shoes. Channel your inner girlish vibe by pairing a denim jacket with a mini skirt. Denim jacket can never goes wrong with basic! Create that edgy street style look by coordinating a black top with a pair of distressed jeans, a pair of mules, a denim jacket and a choker necklace. Look girlish and edgy at the same time when you throw on a denim jacket over a printed dress. Create that everyday stylish look effortlessly by wearing a white slouchy basic tee with a pair of distressed black jeans. 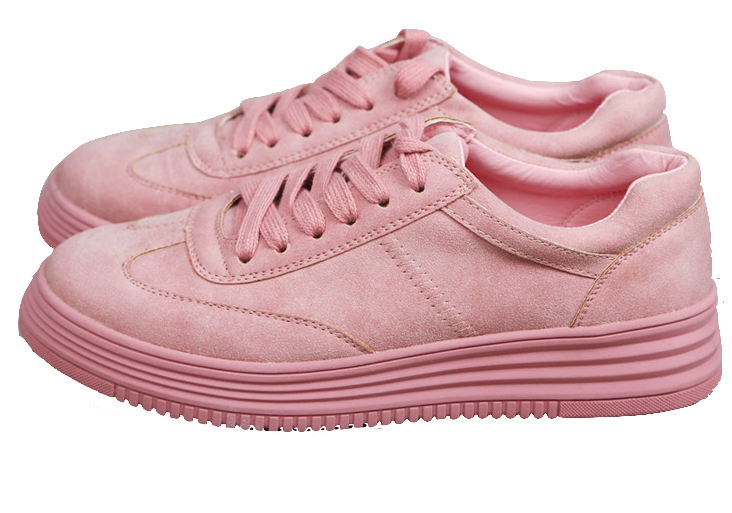 Then, slip into a pair of pink sneakers so you can walk all day without feeling tired. Top off your white tee with a heavily distressed denim jacket and a piece of choker necklace with pearl detailing. You can rock this outfit to classes, or even shopping date with your girlfriends. A piece of oversized denim jacket with two front pockets, button down, and some heavily distressed detailing. A minimal white slouchy tee featuring a scoop neckline is everything you need to make your everyday statement stylish in an effortless way. A pair of black denim jeans showcasing some distressed detailing on the knee area definitely injects an edgy accent. Elevate your street style look with a pair of sneakers in this gorgeous pink hue and lace-up design.